They started the decade (the ‘80s) in a downward spiral, but ended it achieving as much success as they ever had before, and captured a new generation of fans in the process. That all changed one night when I had the radio going on my way to bed. It was just about 11 p.m. on a weeknight and the station was LA-107 FM. Every weeknight at 11 p.m. they had a radio show called “Profile” on. This particular night they were featuring Fleetwood Mac. It was all new to me. It was hard to listen. I had to keep the volume pretty low because of the paper walls in that farmhouse we lived in. I gathered Mick Fleetwood was the brains behind the band along with his friend John McVie, and his wife Christine McVie. Members came and went. One day, Fleetwood was out in California, scouting studios. He was in one and heard a demo from a band, who coincidentally was in the same studio. He liked what he heard and soon after asked American named Lindsey Buckingham and his girlfriend Stephanie Nicks to join the band. Those five would become the core of the super band of the 1970s. Their first album would be “Fleetwood Mac” which yielded the hits “Over my Head”, “Say you Love Me”, “Rhiannon”, and “Landslide”. “Profile” spent a lot of time talking about Fleetwood Mac’s mega-hit album “Rumours”. It was one of the best selling albums ever, even to that point in 1985. After that, Buckingham became more experimental. The result was “Tusk” which was still successful, but a huge letdown after “Rumours”. It sent the band into a tailspin. They eventually returned to a more traditional sound with the album “Mirage”. And that was that. I don’t really recall much more, other than Fleetwood Mac was so big their “Profile” was broadcast in two parts. "Rock a Little". I own it on vinyl. Much like my experience with the Eagles in the 1980s, I first heard pieces of Fleetwood Mac before the band itself. It started with Christine McVie, who had a great solo album the self-titled, “Christine McVie“, in 1984 with two chart singles, “Got a Hold on me”, which reached number 10 on the U.S. charts, and “Love Will Show us How”, which peaked at number 30 in the U.S.
Then, with time ticking down on my high school days, I heard this strange sound on the radio. It was kind of an odd-sounding song, but I liked it. I waited to hear who sang it, which often took awhile because deejays were not always diligent about announcing who sang the songs they played. I could not believe my ears. Was it really Fleetwood Mac? I honestly thought they were done. Far from it. The song was “Big Love”, from the recently-released album “Tango in the Night”, and Lindsey Buckingham sang it. It was there my last semester of Grade 12 in 1987, and peaked at number five on the Billboard Hot 100. While I got ready to head off to university where my life would change forever, Fleetwood Mac released their second single “Seven Wonders” in June, which would peak at number 19. Then in August, they released “Little Lies” which climbed all the way to number four. I recall listening to “Little Lies” the first week we were living in res at the University of Alberta. That would be the end of my Fleetwood Mac experience until I saw a recorded concert of theirs from 1994. It was absolutely fantastic, especially when Buckingham and Nicks sang “Landslide”. They seemed so in to it. Either they still felt something for each other, or they were incredible performers. I suspect it was the latter. Incidentally, at Christmas that year of 1986, my brother gave me a copy of “Rumours” as a present. So part of the second semester of Grade 12 was also getting to know the ins and outs of one of the best albums of the past 20 years. It was awesome. Fleetwood Mac will always have a special place in my heart. 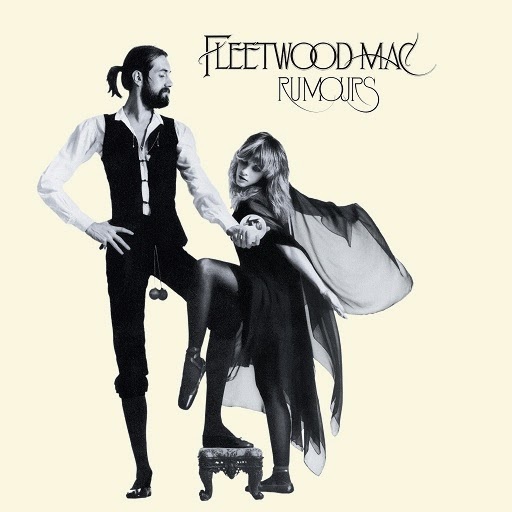 From the time I heard them on “Profile” right up until “Tango in the Night” was part of the soundtrack of Grade 12 and first year of university, Fleetwood Mac was always there. 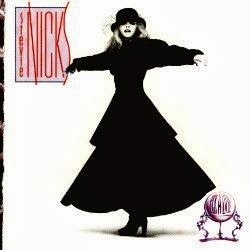 The musical stylings of Stevie Nicks still send a chill up my spine to this day.